The week of 10 July 2017 Combine Clinics were conducted at three locations in Manitoba. The focus crop was seed soybeans and seed quality. 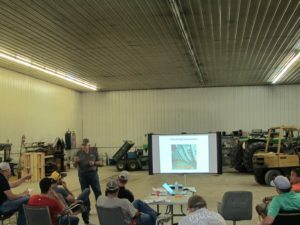 Combine field adjustments and configurations to increase seed quality and harvesting capacity were reviewed in detail. 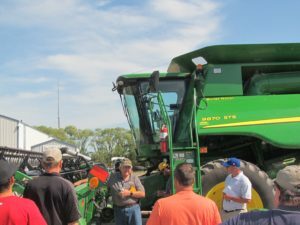 The six harvesting functions of the combine and header/platform were discussed following the flow of crop through the combine. Positive feedback from growers was indicated by their questions and willingness to try different techniques of adjustment.